Last night, I was at the British Library taking part in a panel on doping in sport. Doping seems to be in the news all of the time at the moment, with revelations about Russian involvement and is made worse by the allegations of corruption in sports federations. I have spoken in so many debates about doping and, inevitably, i tend to be the one who, now let me get this right, people love to hate. Yes, that's the way round I think. I argue for doping in sport. I argue that the present anti-doping system is out of sync with our emerging culture of human enhancement. I argue that we need to re-think everything. I have been saying this for 15 years and nothing has changed. Officials still claim unbelievably low levels of doping in sport. Athletes claim it is much higher. Athletes keep getting abused, but still bear the brunt of the sanctions. I don't have a solution to the problem, but neither does anti-doping. In my system, the world of sport takes on more responsibility for steering athletes to safe forms of performance enhancement, invests into helping them make performance gains, ensures an appropriate relationship between athletes and their advisors - including physicians. I am told that my system is too onerous on the sports world, that it is inconceivable to ensure a high quality of care in a developing country which lacks even the infrastructure to develop sport. I am told there are not enough resources and yet NBC paid $8b for the next 16 years of Olympic coverage. The lack of resource in anti-doping undermines its credibility and it cannot attend to its duty of care to athletes more widely without approaching this from a public health perspective. Yet, in the wake of the Beijing 2008 test results, the IOC wants federations to figure it out. I don't understand this at all, but suspect it will not go very far to solving the problem. In my world, athletes are under medically supervised doping. they will still be at risk, but they will know more about those risks and be better equipped to diminish their impact on health. This alone is reason to make doping legal, but there is an even stronger claim to be made in relation to what we ask athletes to do, which is transcend human limits. They can't do this without technology. Doping is one means by which an athlete can do this, but there are others. Yesterday, I was interviewed on live Russian tv, following the IOC anti-doping Summit, which took place in Lausanne. The outcome of the summit was as good as it was likely to get for Russia - the Olympic team is ok to compete, but a blanket ban on track and field athletes, with the right for individuals to prove their innocence. The means by which they do this is still a bit unclear, but the Court of Arbitration for Sport will be the key legal vehicle through which to do this. My view is really simple, the Russian situation is a symptom of a broken system and there have been and will be others that will fall foul to similar circumstances. I am completely against state sponsored doping as it was previously known, but supportive processes to allow athletes to enhance their performance through supervised and safer means is a better way to protect athletes and a level playing field. It will be a different kind of equality to that which we have now, but it will be more transparent, fairer for all, and ensure we no longer look upon sports performances with suspicion. Appearance on Sky News talking about the doping debate, in the wake of findings that prevalence is much higher than was previously thought. Video created for Taylor & Francis publishers, for their monthly theme. Hello, my name is Andy Miah and I’m a Professor of Ethics and Emerging Technologies at the University of the West of Scotland, where I direct the Creative Futures Institute. This video is in relation to an essay I’ve written for Taylor & Francis the publishers, who this month are publishing an edition on sport that’s focused particularly on doping and cycling in line with the Tour de France that’s happening in the next few weeks. Within this thematic month, a range of articles are published that deal with the history and the politics, the sociology, the science and technology of doping, and it’s been an interesting process to read some of the backlog of articles within the publisher for the last four years. The research is just enormous in this area. Doping is perhaps one of the central issues for the world of sport today; it has been for quite a long time. But these essays reveal, really, just how far the research has come, and how much more there is left to do. Philosophers are still debating the definition of doping. We’re still figuring out what this means, and that becomes harder as the technology evolves too: would surgical implants constitute as doping, would laser eye surgery be included? What sorts of things are athletes likely to do that are going to change that definition? At the same time, how is society going to develop its relation to body modification and enhancement? In a way that changes that as well. So these are quite challenging issues, not just for sport but for society too. And yet doping’s still one of those topics where people aren’t sure how much is going on. How big a problem is this for the world of sport? How much of it is a public health problem too? So many of the articles grapple with the complexity of this, given the vast uncertainty of really what’s taking place, and there are considerable differences of opinions about how bad that is. Now, the Tour de France has always been rife with discussions about doping. One of the essays reminds us of the 1998 sit down where riders protested the police raids on the Festina team by sitting down in the middle of the 17th leg just, I think, in complete dismay at the way cyclists are treated. For me one of the key issues has always been how athletes give up their privileges just for sport: freedom of movement, physical privacy is lost in the pursuit of drug testers and dopers, and one of the questions that arises from this is how far we’re prepared to go to test people for drugs and doping. Now you might say ‘we’ll go as far as we need to – we need to make sure there’s a level playing field and competitors are playing in the same sort of way’, but we’re already testing kids in high schools. How far do we test people before we start to think ‘this has just gone too far – we need another strategy’. So many of these articles do grapple with that complexity, and reveal to us just how far the anti-doping authorities still have to go to really address this issue. They’ve got a tough job ahead of them. I think the biggest problem they face is that the world’s moving on too – it’s not just a question of what’s happening in sport anymore. We live in a world where, twenty years ago, people were up in arms about GM products - today people are less concerned about that – so there’s a sense in which technologies that are new, that are controversial, become accepted or more acceptable. In a world where we have genetic screening, pre-implantation genetic diagnosis, ways in which we are tampering with biology before day 1, before birth, then what sense will there really be of having a policy that tries to protect people from enhancement, or to ensure some natural playing field where athletes compete? I think this has really got to go back to basics and really think about what sports are all about. We care about seeing extraordinary performances, we put athletes in a position where they have to use technology to do this – in fact, many sports are constituted by technology; they wouldn’t make sense without them – so we can’t just quibble over the details as to which technologies we like and which we don’t. But aside from that, we get lost in the concerns about harm and the risk to health and so on, which have been part of the history of the doping debate and its broader contextualization within the doping war. So I think when we consider where this might go, where all this research may take us, a number of the articles point to the fact that this intractable problem is only likely to get worse. So we need to rethink the problem. We need to rethink our approach to the problem, and consider what other strategies there might be to level the playing field, or create a kind of level playing field that we value. If that means allowing everyone access to everything, that might be a better solution. That doesn’t mean we need to encourage people to take ridiculous risks with their health, but we perhaps monitor the health risks of performance-enhancing technologies; we set up a world pro-doping agency as well as the world anti-doping agency, the responsibility of which will be to invest into safer technologies, allow athletes access to safer, more informed ways of performance-enhancing for their sports. If we do that, then yes, some athletes may get harmed anyway, but they may get harmed less, and that seems to be a better situation. So enjoy the articles, enjoy reading just how far this body of research has come in 40 years and how much more difficult the problem is today than it was back then. Thanks very much. Why Wasn't Lance Armstrong Caught Earlier? If you can read Dutch, then you can now read my Lance Armstrong piece (the second version) in De Morgan, a Belgian daily newspaper. Out today. 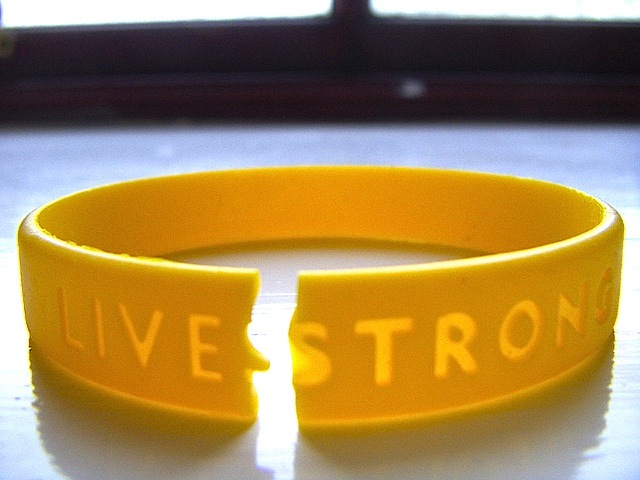 I've been tweeting recently that I have written a radical new piece about Lance Armstrong. A few people are still helping me find the right home for it, but here's an opportunity to read it before it's published. If you'd like to receive it, then please do the following. 2. Email me at email@andymiah.net with 'Lance Armstrong' in the subject header. 3. Once you've read it, please don't share the contents. If you like it, or hate it, then you are certainly encouraged to say so publicly, but I don't want to kill the publication by its contents being shared before it's out, so I'd be grateful if you kept the secret. I really hope you enjoy the piece. So Long, Lance. Next, 21st-Century Doping. This is the title of an article published in the New York Times on 20 January, 2013, written by the Atlantic's David Ewing Duncan. It responds to the recent confession of Lance Armstrong about doping, quoting me in the process. Worth a read. He concludes by inviting readers to consider which they would prefer to watch, enhanced sport where all are doping, or clean sport where we are always in doubt? I've had a few inquiries about LA this morning and I wanted to set out my stall on this topic once and for all. In 1988, Ben Johnson shocked the world by testing positive for anabolic steroids. The outcome was the Canadian Dubin inquiry, which most importantly revealed that an athlete alone cannot build a culture of doping. It is systemic problem, it is a product of how athletes are set up to fail in sports by our pushing them towards transcending human limits with limited means. It is about the malleability of what we consider to be a fair competition, when people are not biologically born or nurtured in similar ways. The press material from USADA is aggressively pursuing one individual, placing all the blame squarely on his shoulders for breeding a culture of secrecy of doping practices. It has sought to make this case against LA for many years. It operates within a nation that has placed the war on drugs in sport above many other social problems that exist. Yet, it is also a nation that breeds the pursuit of excess and champions sporting victories so greatly that it is little wonder athletes do all they can to advance the possibility of victory. We live in a time when cheating is commonplace within many aspects of our society. Who can forget the recent banking scandals? Trying to get away with cheating is a high return, low risk activity in many complex professional practices. The World Anti-Doping Agency describe Armstrong has having developed a sophisticated programme of doping. Not really. If he is proven guilty, all he did was use things for which there are not tests. Not sophisticated at all. Quite sensible - the basic principle of doping done well. Using doping methods for which there are tests is idiotic. If these allegations are upheld in a court, then the answer as to how he got away with it for so long is quite simple. Doping is commonplace within cycling. There is a culture of doping within the Tour and many athletes feel inclined to maintain this circle of secrecy because those are the values of their sport. For years, I've heard discussions about qualifying claims about doping within the Tour and figures from experts range from saying it is a minority to saying it is everybody. Here's the problem. It's a problem that never goes away for elite sports. Athletes are smarter than anti-doping authorities. Actually, athletes have an unfair advantage over anti-doping authorities. An athlete can study what is being developed in the world of science, new designer steroids for example, pursue access to those that were never commercialised - even work with a lab to bring them to product stage. Anti-dopers will never know that the substance exists and so never seek to test for it. Alternatively, the claims about LA are that he used substances and methods that were known, but for which they could not test. Autologous blood transfusions is one of the most challenging. If this is the predicament of the sport's world, then anyone who wins is potentially doping, so under the present system we can never feel proud of an athlete's achievement as the book will always be open on whether they doped or not. This is why we need to rethink the entire situation. If LA is guilty, then another of the world's greatest heros has failed us, at least this is what they will say. In my view, it is the sport system that is failing us. It's time we set up a World Pro-Doping Agency so we can allow athletes the means to enhance themselves as safely as possible using medical technologies and we need to bring this all into the open. Some say this will turn people away from sports. I say it will inspire honesty about what makes a great athlete - the combination of nature and nurture, biology and science. These two have always worked together to win gold medals. As it becomes harder and harder to detect doping practices, we need to find another approach to ensure that we can believe in what athletes have done when they win gold. It's a sorry state of affairs when someone like LA is brought down, after a life that has been incredibly challenging and hard. Even if he used performance enhancements, they didn't allow him to breeze through the door. There is a lot still left to admire about the doped athlete and compassion in understanding their circumstances will prove more productive than a witch hunt. Yesterday, I interviewed for Wired magazine on the doping debate and they came out with a very provocative article.